The Sounders on Thursday signed Cameroonian defender Nouhou Tolo, one of their Sounders FC 2 regulars, hoping the teenager can slot in behind left back Joevin Jones on the depth chart. 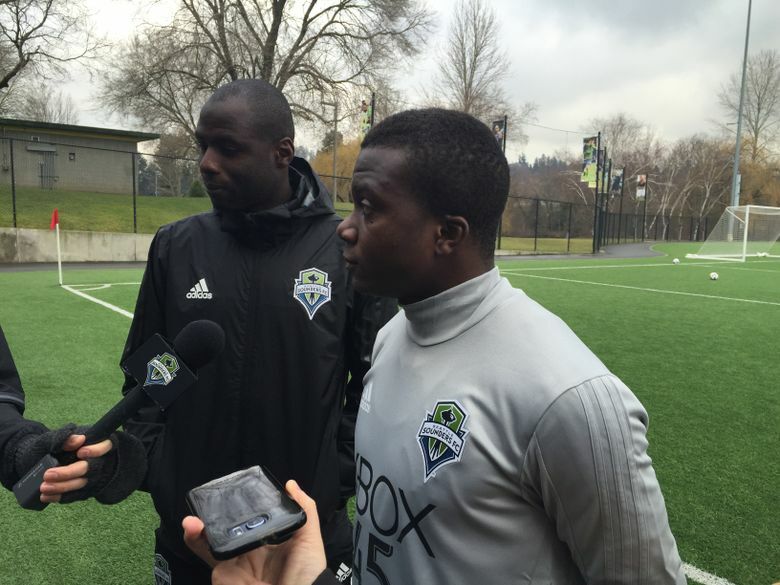 Cameroonian defender Nouhou Tolo signed a contract with the Sounders on Thursday morning and was out practicing with the squad in Tukwila a couple of hours later. Tolo spent last season with Sounders FC2 and is a candidate to back up left back Joevin Jones this coming season now that Dylan Remick has moved on to Houston. Tolo spent last season learning the North American game at age 18 after a bit of a struggle getting here. A contract dispute between rival professional teams in Cameroon over who owned his rights initially had blocked the Sounders’ ability to sign him. But once here, he gradually adapted to the more physical MLS style of play. Tolo quickly impressed coaches Thursday with his raw athleticism in competing against first teamers. Head coach Brian Schmetzer said Tolo’s talent was immediately obvious. But the team is aware of his Tolo’s youth and wants to see improvements in the mental side of his game before he earns regular action with the squad. “Specifically, making sure guys don’t run in behind him,” Schmetzer said. “Making sure the gap between the left side and the center back and himself is not too narrow or too wide because balls can slip in. His choice of passing and getting locked in on one target down here when something can open over here.